International Institute of Culinary Arts, New Delhi is proud to have been accredited by some of the most prestigious education qualification bodies. The guidelines & values set by each awarding body enables IICA to create a foundation for its’ students which prepare them for the current and future needs of the hospitality industry in India and overseas. Tourism and Hospitality Skill Council (THSC) is a Not – for – Profit Organization, registered under the Societies Registration Act, 1860. The Tourism and Hospitality Skill Council (THSC) is promoted by the Confederation of Indian Industry (CII) with inclusive representation of the Government, Industry, Industry Associations and Training Institutes across India, with financial support by National Skill Development Corporation (NSDC). 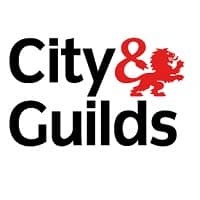 Manipal City & Guilds is a joint venture between Manipal Education and City & Guilds, UK. Drawing upon the expertise of City & Guilds in developing qualifications that are reflective of global industry needs, its 134 years of leadership across 30 industry sectors and 600 qualifications that have certified over 18 lakh learners every year, MCG is poised to change the dynamics of the Indian market. Learners are provided with cutting-edge, industry-relevant certifications and job assistance. Multiple levels of qualifications are available at the entry, supervisory and managerial levels, opening up opportunities for lifelong learning and growth. While learners get a head start in their career, partner companies get easy access to trained, ‘work-ready’ staff. For the industry as a whole, this translates into a job-ready work force with ‘first day first hour’ productivity. 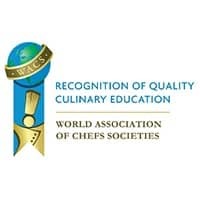 The World chefs Recognition of Quality Culinary Education program seeks to recognize educational companies, associations and institution's which offer culinary and pastry art programs of various design and size and meet or exceed global standards for quality culinary education as established by the Worldchefs Education Committee. Recognized companies, associations and institutions share in the future development of Worldchefs global standards as the list of recognized programs continues to expand around the world. Edexcel (known as Pearson - London Examinations in Malta) is a multinational education and examination body owned by Pearson. Pearson Edexcel, the only privately owned examination board in the UK, and part of Pearson plc, is a portmanteau term combining the words Education & Excellence. It regulates school examinations under the British Curriculum and offers qualifications for schools on the international and regional scale. Edexcel is the UK’s largest awarding organisation offering academic and vocational qualifications in schools, colleges and work places in the UK and abroad. It is also recognised internationally.